AAMH and the Ministry of Health and Family Welfare, India, are partnering in a new two year project aimed at exploring sustainable community mental health models. 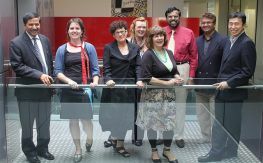 Following the very successful community mental health conference in New Delhi in February 2011, Asia Australia Mental Health and the Ministry of Health and Family Welfare, India (MoHFW) are undertaking a new two year partnership. Aimed at exploring sustainable community mental health models, which can contribute to reducing the mental health treatment gap in India, the collaboration recently secured support for the program of activities. The innovative development program focusing on public services, aims to strengthen whole-of-government responses to issues and priorities by introducing greater consistency of approach, user-friendliness, flexibility and responsiveness. The Directorate General of Health Services will work with the National Institute of Health and Family Welfare, and will work together to identify appropriate field sites in four states, including rural and urban, low, middle and high resource settings. Each field site will be linked to a local tertiary care mental health institute for technical and managerial support to develop and pilot best practice community mental health models. 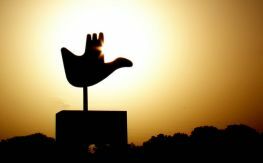 The program is expected to be launched in August 2011.